We pick you up from Jorge Chavez International Airport in Lima and transfer you to your selected hotel. We start our tour with a pánoramic view of the Pucllana Pyramid ,which was a magnificent ceremonial and archeological center built in the IVth century A.C. This place was also considered a “sacred village” by the Incas. We visit the Historical Center of Lima, where you will appreciate colonial monuments and buildings, The main highlights of this area are the Paseo de la Republica, Plaza San Martin, the Main Square, the Government Palace, the Archbishop’s Palace, the Cathedral Basilica of Lima, Central Reserve Bank’s Museum the “Collection Treasures of Peru “,which showcases a select exhibition of gold, ceramic and textile objects from diverse pre-Columbian cultures. This Church showcases the biggest collection of religious colonial art in the Americas. Another highlight in this location is the visit to the underground crypts also known as the “Catacombs”. Lima is a City that will amaze you with a blend of modern, colonial and ancestral parts of the town. Lima has the Costa verde with its beautiful beaches where you can walk through its long promenades enjoying the views of the seaside. Lima has a sizable amount of ruins, farmhouses, beaches and local fauna that will allow you to know this vibrant city much better. We end up our tour visiting the Magic Water Circuit of Lima, a fantastic place with impressive fountains that combine movement, lights, sounds and images. It is the largest water fountain compound in the world, certified by Guinness World Records. Nice place to visit while in Lima, it offers quite a different kind of attraction. The park has thirteen water fountains, some of them surprisingly original and some for visitors to explore. Return to the hotel and lodging in Lima. Please remember bring your camera during tour to take some pictures and bottle of water. 02:50 Pick you up from the hotel to transfer to the bus station. 03:45 Departure from Lima to Paracas. 07:30 Arrival to Paracas approximately. Transfer to the Chaco pier and starts our Ballestas Islands Tour. Where you can observe the habitat of sea lions, guano birds, penguins and diversity of marine fauna. On the way there is a figure The Candelabro, engraved on the side of a hill, is a geoglyph of rock formation eroded by the wind and by the sea. Measures more than 120 meters long is also called Tres Cruces or Tridente. The best way to appreciate it is from the sea. Transfer from Paracas to Ica.Arrival to Ica. We’ll enjoy the city tour in Ica + a visit to a winery “place where we can see how people elaborate the process of the peruvian Pisco and wine”.Then starts our Buggies tour and sandboard (optional). 20:15 Departure from Ica to Nasca. 22:35 Arrival to Nasca. Reception and transfer to the select hotel and lodging in Nasca. Weather at Paracas & Ica both belongs to Ica region, all year is warm and hot so, recommend to wear light clothing. Transfer to the aerodrome Maria Reiche in Nasca. Enjoy a wonderful experience with a stunning 30 minute long fly by on the Nasca lines, where you can see 12 geoglyphic figures, representing the Pre-Inca cultural heritage located in southern Peru and can only be seen flying in appreciate other figures and the Cantalloc Aqueducts, which were the supply systems of water of the Pre-Incas. 14:30 Departure from Nasca to Arequipa. 23:30 Arrival to Arequipa. Reception and transfer to the select hotel. Lodging in Arequipa. Weather at Nasca belongs to Ica region, so this province, all year is warm and hot so recommend to wear light clothing. At 08:00 a.m. pick you up at your hotel and departure from Arequipa ( 2325 m.a.s.l) towards north west direcction behind snow-covered Chachani; we see wild vicuñas, alpacas & llamas in Pampa Cañahuas national reserve, some birds like flamingoes, ibis, andean gooze, ducks, andean eagle “Kara Kara” view point of the Volcanoes and snow covered mountains in Patapampa (4,800 m.a.s.l). Arrive in Chivay (3600 m.a.s.l), capital of the valley. Note: The opcional vist to La Calera Hot Springs is by passangers staying at Chivay only. Lodging at Pozo del cielo Hotel Chivay. Distances from Arequipa to Chivay, is about 4 hours, but in the way we have many stops. At proper time transfer to the bus station to go to Puno. Arrival to Puno. Reception and transfer to the select hotel. Distances From Chivay to Puno, is about 6 hours, but in the way we have many stops, the service includes snacks. With the transfer from your Hotel to the Port of Puno where you will board the motor boat with which you will first visit the floating islands of the Uros that are located 30 minutes from the port of Puno, in the lake there are more than 50 small floating islands but you will visit only two, on the first island the tour guide will explain a little about the people that live in those floating islands, after the explanation you will have free time to be able to walk around the island and take some photos and maybe Talk with the families of the island, so that you will spend approximately 1 hour visiting two floating islands. After your visit to the floating islands, the tour continues to the island of Taquile, which is located two and a half hours from the floating islands. Upon your arrival to Taquile Island, you will take a walk which lasts an hour and a half. of this hike is about 30 minutes and the second part is one hour is a flat and downhill, during this walk you will visit a local family where you will learn a little about Taquile and its people, also make a brief visit to the main square of the island where you can see and maybe buy the fabrics of the island, the square will also be the highest point of this walk 3950 MSNM After returning to Puno, the tour ends at approximately 5 pm. The service includes lunch at FD Islands Uros and Taquile. Strats at 8:50 am — Pucará Museum — 3900 meters of altitude. Pucará was the first regional population nucleus in the Titicaca basin north of the lake during the Late Formative Period (500 BC-200 AD), which provides valuable information about the origins of the Andean civilization in the highlands. During its heyday it covered more than a square kilometer and housed thousands of bureaucrats, priests, artisans, farmers, shepherds, and possibly warriors. The Pucará style is identified by impressive monolithic sculptures with a variety of geometric, zoomorphic, and more intricate anthropomorphic images, multi-colored ceramics in a variety of ritual and domestic forms. 11:00 am — La Raya — 4335 meters of altitude.Abra La Raya (La Raya) is the watershed between the valley that flows into Lake Titicaca and the valley that leads to Cusco and the Sacred Valley. The altitude is 4,338 meters (14,232 feet). 11:35 am — Marangani Buffet Lunch — 3552 meters altitude. Sicuani is a relatively large city of the highlands. The city is an important intersection, with the road to Puno / Arequipa passing through here. This city is surrounded by beautiful snowy hills. Afterwards, you have a buffet lunch in our exclusive restaurant with a family atmosphere. 1:00 pm — Raqchi “Temple of Wiracocha” — 3225 meters of altitude. 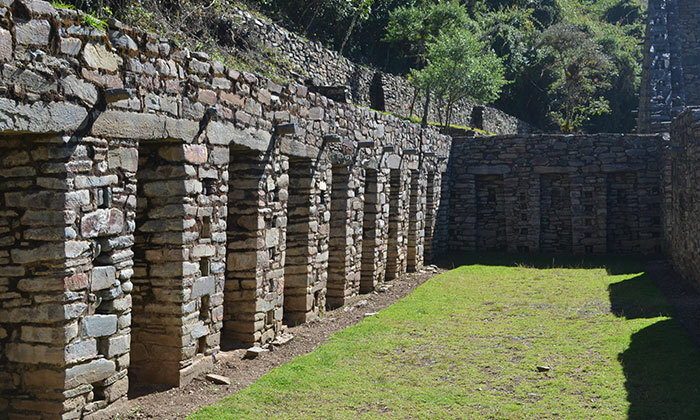 The most important building within the complex is the “Wiracocha temple” that according to the ancient chroniclers was built by the Inca Wiracocha in honor of the invisible Superior God of the Andean people: “Apu Kon Titi Wiracocha”. The “Wiracocha Temple” is a great construction for that age. Architecturally it is classified as “Kallanka”, that is, a tall building completely covered with straw (wood and “ichu”). Externally it is 92 meters long (302 feet) and 25.25 meters wide (83 feet). 3:30 pm — Andahuaylillas “Sistine Chapel of America” — 3122 meters of altitude.There, you will find the church of San Pedro Apóstol de Andahuaylillas, built by the Jesuits in the 16th century. Like other Spanish and religious constructions of the time, it was built on top of a huaca or sacred place for the Incas. Made of adobe and brick, the church is a small structure consisting of a single nave, apse and bell tower. But there is a reason why it is known as the Sistine Chapel of America. 5:00 pm – Arrival (Cusco) – 3400 meters of altitude.Av. Alameda Pachacuteq 499-B. Our itinerary varies according to weather changes. Arrival to Cusco, welcome and transfer to the sleect hotel. Weather at Cusco It is at 3500 m.a.t.s. The average annual temperature in Puno is 11 ° C.
Distances from Puno to Cusco, is about 6 hours, but in the way we have many stops, the service includes lunch at Sicuani. This tour starts at approximately 08:00 hrs. and ends at 7:00 p.m., we pass by your hotel, to have a guided tour to the Sacred V alley of the Incas, over the Vilcanota River, for a panoramic view of the Inca citadel of Pisac and visit the typical Indian market of Pisac , where we will have the opportunity to learn about the customs of its inhabitants and haggle prices with sellers, then we go to the city of Urubamba, traveling along the Vilcanota river, returning to Cusco between 18:30 and 18:40 hours. The archaeological complex of Pisac, is located on the top of a mountain from where a good part of the Sacred Valley is dominated. This wonderful place is formed by groups of platforms and architectural structures scattered on the slopes and at the top of the mountain, Pisac is one of the most beautiful monumental centers of the valley because it combines the landscape with the impeccable finish of its buildings. Located 30 km from the city of Cusco, the main square of Pisac houses this market, a colorful and lively place, where the most famous Cusco handicrafts made by Andean hands are exhibited, among the handicrafts, textiles, ponchos, bags, etc. stand out. , and the ceramic handicrafts, which are reproductions of Inca archaeological pieces, such as the queros (ceremonial vessels), necklaces, etc. This fair is attended by traders and indigenous craftsmen from many villages, dressed in their typical c ostumes. Lunch at the Sonesta Posada del Inka rest aurant. In the afternoon we visit the Fortaleza y Ciudadela de Ollantaytambo, built to guard the entrance to this part of the valley and protect it from possible invasions of the inhabitants of the jungle. We will have the opportunity to walk through the streets of the town and thus have a clear idea of how this military, religious and cultural center was during the Inca Empire. Transfer to the train station to go to Aguas Calientes. We pick you up at the hotel at 3 am, we head south of the city of Cuzco, travel time 2 hours and 45 minutes , stop where we will have our breakfast, then continue for 15 minutes more to Pitumarca (Quesiyono) 4,400msnm approx. From where we will begin with our walk through an easily accessible path for an estimated time of 3 hours and we will arrive at the Mountain of Colors, magical landscapes located at 5,000 meters above sea level approximately. After enjoying the wonder that our Mother Nature presents to us, we will return by the same route, where our transportation awaits us and then we move for 15 minutes to lunch, then we return to Cusco, approx. 18:00. 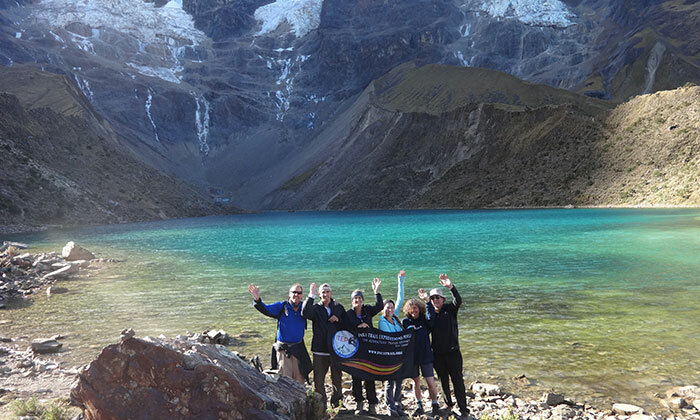 This day has a strong trekking so we recommend to have your bottle of water, some pills for soroche, don’t miss this unforgettable experience. Very early trasnfer to the train station to go to Aguas Calientes. In Aguas Calientes we will take the bus that will take us to the Archaeological Park of Machu Picchu, located on top of a mountain. Once in Machu Picchu our guide will begin the guided tour so that you can better know the history and architecture of the Inca City of Machu Picchu. You will be amazed with the Inca buildings and temples, as well as the natural environment that surrounds them. The Sacred Solar Clock, the Royal Rooms, the Temple of the Three Windows etc.Upon reaching the Machu Picchu citadel, we will go through the control, where we will deliver our income tickets and where we will begin our guided tour, visiting the Main Square, the Circular Tower, the cemetery, approximately for more than two hours. Then you will be given free time, to take a walk through the archaeological center to descend to the town of Aguas Calientes via bus, to ingest your food, in one of the many restaurants in the town of Aguas Calientes. In the afternoon we will take the return train from Aguas Calientes to Ollantaytambo where a transfer awaits us so we can continue by bus until we reach Cusco.Overnight at Cusco. Please remember bring your camera and a the bottle of water. This is our main tour in the itinerary, recommend to wear light clothing. At the proper time, transfer to the airport. We pick you up from Tababela Airport in Quito – Ecuador and transfer you to your selected hotel. Distance from Tababela airport to Quito downtown is 45 minutes until 1 hour. 16:50 Visit to the Charles Darwin research station, observation marine iguanas and the lonely Jorge in the museum and relax in the beach. 19:00 Dinner at the restaurant and lodging in Santa Cruz. Daily tour at Pinzon Island offers some wonderful snorkeling opportunities and lets you get up close with a plethora of marine life like sea turtles, eels, eagle rays, marine iguanas, dolphins and even lobsters. Swim with playful sea lion pups as you dive along the coast to explore the rich beauty of the world below. 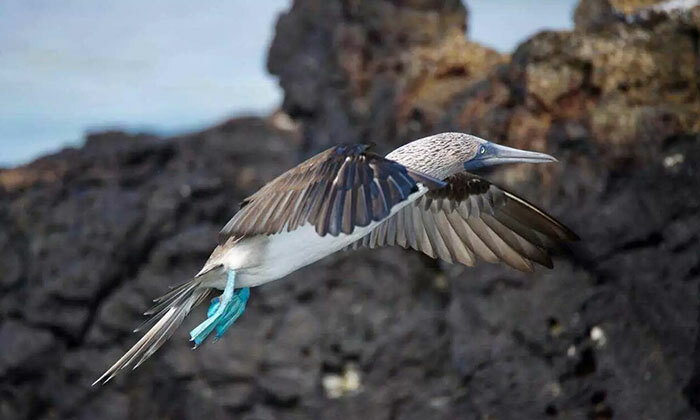 Daily tour to North Seymour, and the Bachas Beach, great observation of blue footed boobies, land iguanas and frigates nesting. 12:30 Lunch in the restaurant near port. 8:30 Bahia Tour and visit to Tintoreras Islet, you can look at sharks marine iguanas, penguins of Galápagos and do snorkeling and hiking. Transfer out from Santa Cruz Port to Baltra airport. 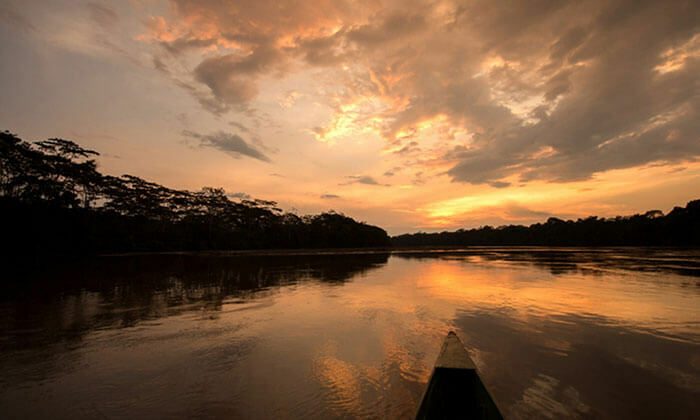 Flight from Baltra to Quito or Guayaquil and connection with your international flight.